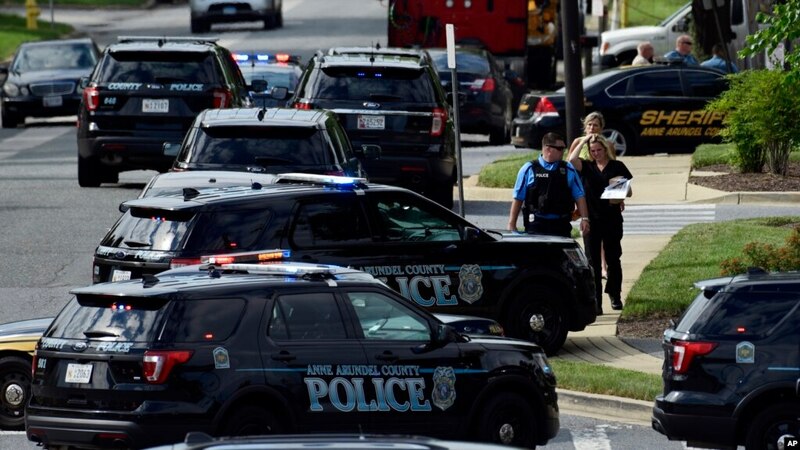 A reporter at The Capital Gazette tweeted that a single gunman had fired into the newsroom and shot multiple employees. Phil Davis, who covers courts and crime for the newspaper, tweeted that the shooter had fired through the glass door to the office. "A single shooter shot multiple people at my office, some of whom are dead,'' he tweeted. Anne Arundel County's acting police chief, William Krampf, later confirmed that the death toll was five. Arminta Plater, a spokeswoman for a hospital near the newspaper, said two patients had arrived there, but she did not know their conditions. "There is nothing more terrifying than hearing multiple people get shot while you're under your desk and then hear the gunman reload,'' Davis said. Anne Arundel police spokesman Lieutenant Ryan Frashure said officers had reached the scene of the shootings within 60 seconds of the first report and had engaged the shooter. Cameroon army ?kills 40 Boko Haram fighters?